Product prices and availability are accurate as of 2019-04-18 11:47:39 EDT and are subject to change. Any price and availability information displayed on http://www.amazon.com/ at the time of purchase will apply to the purchase of this product. CHOPS THROUGH 2" BRANCHES effortlessly. 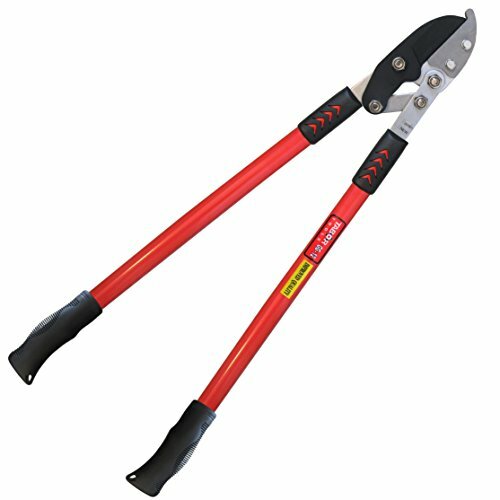 This KING OF LOPPERS will allow for fast removal of dry and woody growth and is the ideal tool for preparatory cuts and cut-to-length work. The lopper is designed and built for professional grade applications and makes cutting dramatically easy through extra leverage and compound action power! SHARP HARDENED CARBON STEEL BLADE will stay sharp, even after some heavy use! The low-friction non-stick coated gliding blade make every cut a joyful experience. The tools is easy to use, even for the elderly gardener or if you have arthritic wrists. There's no cut you can't make with this KNIGHT'S BLADE! COMFORT GRIP. The rubberized grips on handles provide comfort and good grip. This longer 30" model will allow you the work with some extra strength and leverage and to efficiently navigate around higher limbs. The ergonomically handles are designed for optimal grip to ease cutting of any branch. 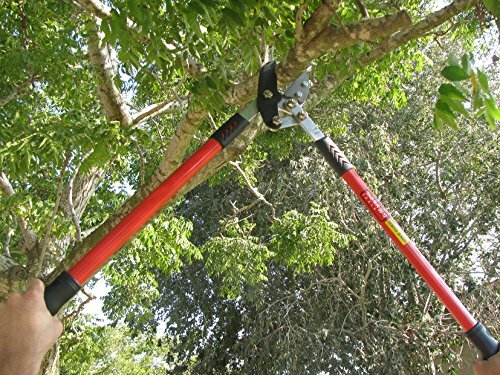 Overall, this balanced, powerful and dependable tool which will soon become YOUR BEST FRIEND IN THE GARDEN. FREE GIFT: Order today, and get a wealth of pruning tips and tricks along with our follow up on your purchase. ORDER WITH CONFIDENCE. The Tabor Tool customer satisfaction guarantee means exactly that. We will fix any problems quickly and answer to your need every time. We are always available to help our customers; our service record is unmatched!